The Office of Management and Budget has proposed changes to a federal guidance that details policies on how federal agencies can manage and protect information resources as well as promote use of electronic transactions. 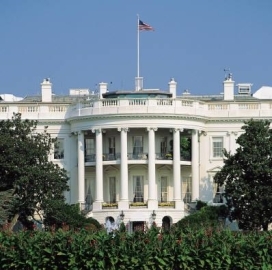 The proposed updates to Circular A-130, Managing Information as a Strategic Resource came 15 years after the last revision to the document in 2000, Federal Chief Acquisition Officer Anne Rung and CIO Tony Scott said on the White House blog published Wednesday. Rung and Scott co-wrote the blog entry with Howard Shelanski, administrator of the White House Office of Information and Regulatory Affairs. The proposed amendments to the document aim to help OMB “provide timely and relevant guidance to agencies and will ensure that the federal IT ecosystem operates more securely and more efficiently while saving tax dollars and serving the needs of the American people,” the officials said. The revisions to the document also seek to reflect “enhanced technological capabilities” and “new statutory requirements” since OMB made changes to the circular in 2000, they added. OMB will accept public comments on the proposed guidance through Nov. 20.